A truly unique home in the very prestigious granada blvd. In coral gables is a dream come true. With more than 26,000 sf, and 8,500 sf completely renovated, makes a modern and sophisticated residence. Every detail will seduce you, from its italian kitchen designed by mia cuccina to the fabulous garage with a. C. For 4 vehicles. The entertainment area is commanded by a 45 heated pool with jacuzzi, all together with the most spectacular terrace with a built-in summer kitchen. Impact windows, security system, 6 bedrooms, 5 bathrooms, private office, den (games room), huge family room, salon and dining room integrated to create an ideal space for parties. Such is the list of upgrades and improvements to make life more comfortable, that you really need to come and see it. Amid the soaring ceilings, large art walls and beautifully proportioned spaces, this totally renovated 5 bedroom home awaits one of your most discriminating buyers. Sited on a 21,000 s. F. Lot in the heart of coral gables, this beautiful property is convenient not only to mia, but also to the shops of merrick park, dadeland and downtown business district. With amenities that include a beautiful kitchen with top of the line appliances, pool and adjacent summer kitchen, numerous sitting areas, and stunning garden views from almost any point in the house, this property is an invitation to gracious living and entertaining. 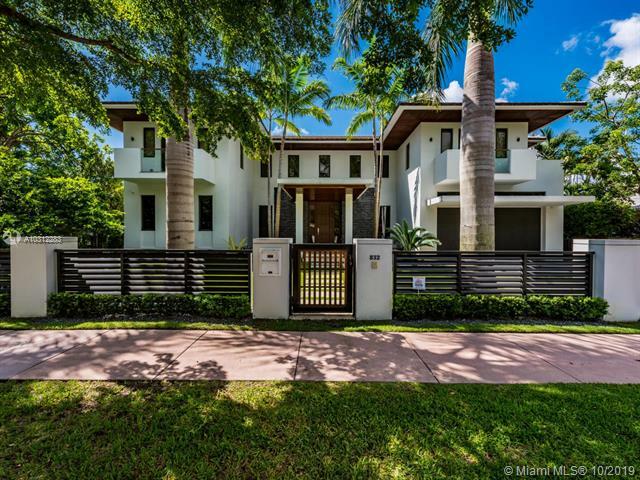 Located on desirable riviera dr in coral gables, this 4 bed/4. 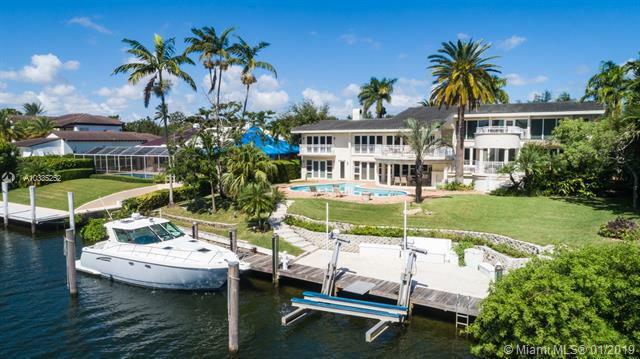 5 bath estate boasts 115 ft of waterfrontage with newly expanded private dock and boat lift, oversized rooms with the master suite situated on its own floor, media room, office, 2 wet bars and panoramic views. Enjoy the convenience of only one bridge to bay on gables waterway or easy entertaining from 1300 ft of outdoor terraces overlooking the sparkling pool. Updated impact windows throughout. Romantic charm of french style. This property is a work of art. Exceptional and splendid golf course home in the prestigious sta maria st. Traditional details & elegance. The exquisite chandeliers and the bespoke wrought iron in the large staircase with double volume ceilings in the grand entrance hall set the standard for luxury. Living,dinning room with marble fireplaces,kitchen,family room with access to terrace overlooking the16th green of riviera country club,pool,2 bed with both en suite bath,garage,laundry& internal terrace in the ground floor. Sumptuous master bedroom en-suite and second room, enjoy the green view in the upper floor. The renovation of the house is immaculate,perfectly maintained. The owners created a sophisticated home that is also inviting to enjoyed with family&friends. Ocean access, golfers dream location, location 4706 granada blvd features 6 spacious bedrooms of which 3 have walk-in-closets, 5 modern and very comfortable bathrooms, brand new kitchen cabinets from porcelanosa with ss new viking appliances, big pool approx 55ft x 20ft, great open terrace approximate 2000 sqft, boat dock fits a 35 ft boat, 2 car garage, open floor plans thought out, high hat lights with led features, nest thermostats, smart video surveillance cameras. Impact windows, fence throughout for privacy. Move in ready. 2 blocks away from riviera country club, less than a mile to biltmore hotel golf.